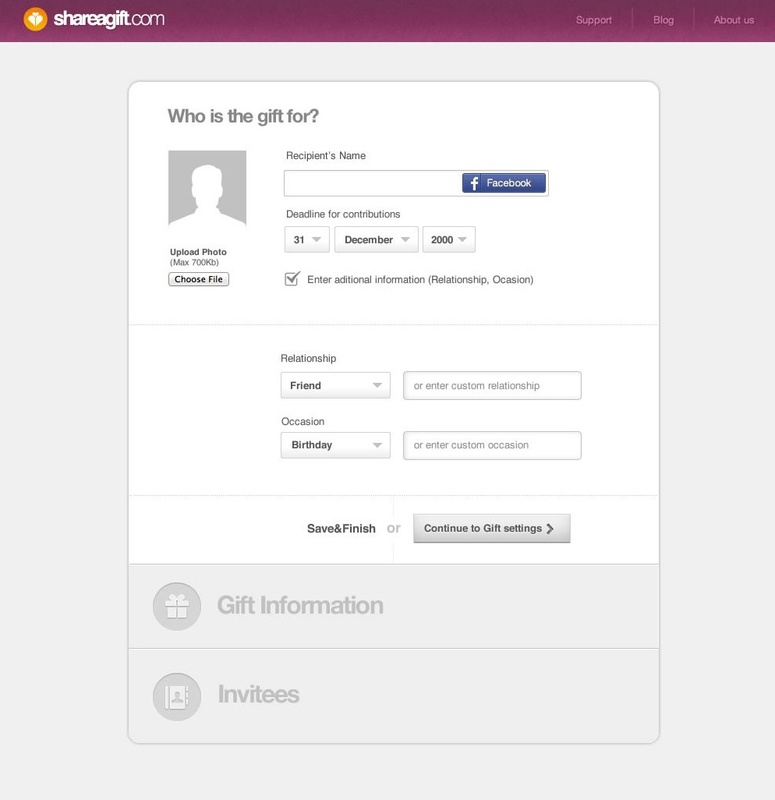 One of our principle goals here at Shareagift is to continuously improve the site to make it as intuitive as possible. Yes, it’s ambitious. But we’re ambitious! We’re not quite there yet, but we’re chipping away at it, and we hope that this latest upgrade to the UX, launched yesterday, will help shave a few seconds off our personal best. 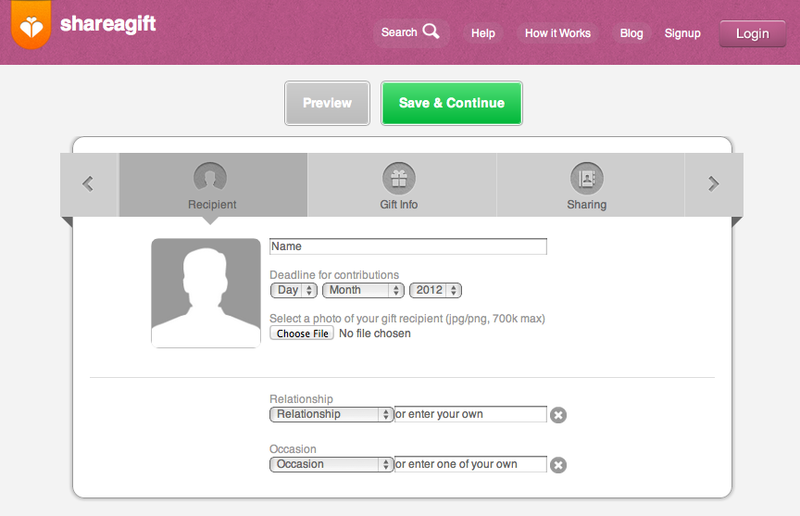 We’ve been playing around with the Create Gift Page process for a little while now, taking out the friction from unnecessary data capture and making it as easy as possible to create a new Gift Page. On first glance, to some it may look less attractive working through the process horizontally rather than in a vertical, linear fashion. Truth be told I took a little convincing myself when our brilliant designer, Jose (or Hose if you prefer), showed us the design. But once you start using the new UX you quickly realise the navigation is much easier. You can now switch between sections with ease, going back and forth to make corrections, previewing your Gift Page at will and saving your work to return later if you choose. We’ve also added a new Chat feature to help with customer support in real time. At the moment this is just enabled during our office hours (we’re not quite so chatty when we’re snoozing), but if we’re up and about we’d love a chat with you. So please give us a shout out – even if you don’t have an issue we’d love to hear from you. So all in all a pretty big day for us yesterday. Now we’re just keen to hear your feedback. We use the site every day, so sometimes it’s hard for us to see what works and what doesn’t – which processes are obvious and intuitive and which leave the user tearing their hair out, so please let us know. As always, our user feedback is the most valuable information we can receive so please keep it coming – we look forward to hearing from you very soon! Previous PostWhat to get the couple who have everything?